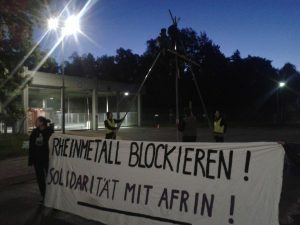 On the occasion of the annual general meeting of Rheinmetall, activists blocked the weapons and ammunition factory of the company in Unterluess. In the early hours of the morning, the activists set up a tripod (five-meter tripod made of metal bars) on which two activists climbed. This blocked the only access road to the main entrance. On banners the activists demanded “Block Rheinmetall! 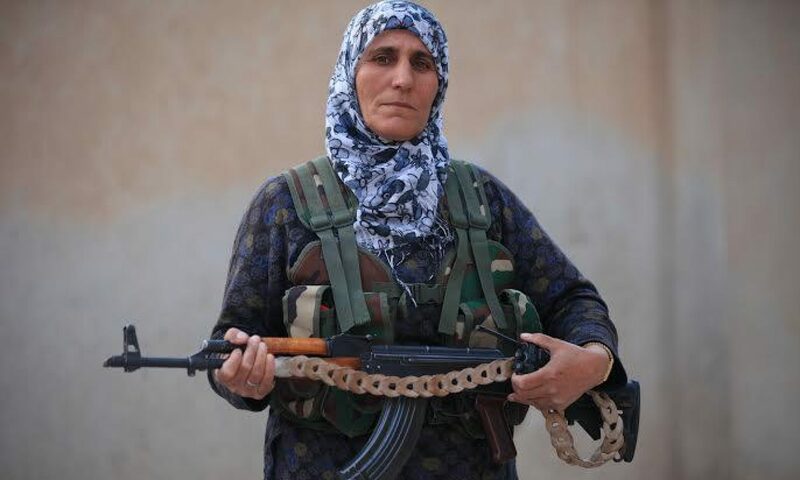 Solidarity with Afrin! “And” Stop arms exports!